Instructor User Guide AnnouncementsHow do I change Announcements tool permissions? 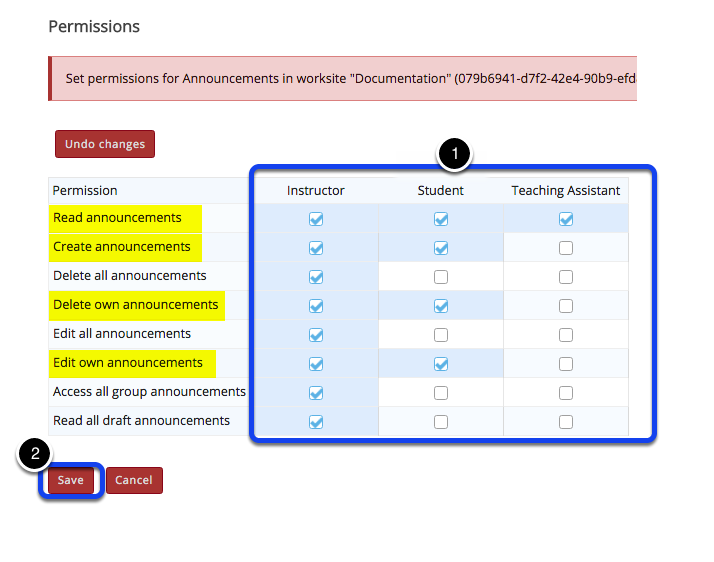 In the illustration above, students have been given access to read announcements, create announcements, and edit or delete an announcement that they created themselves, but not the announcements created by others. Prev: How do I reorder Announcements? Next: How do I view Announcements?